Just the other day, on the flight home from a four-day roadshow, I found myself in conversation with my seatmate. The talk quickly turned from conventional preliminaries to more engaging topics, as we discovered a shared experience in the medical field — he in clinical trial research, me in health tech software. We found a lot to talk about. I expect I could have been offended at the underlying assumption that I couldn’t possibly be raising a family at the same time as I was leveling-up in my career. Instead, I was flattered to find that the wear and tear of three children at home didn’t show on my face, and amused to think about the contrast between this man’s perception of me and my day-to-day reality: that is, an insane balancing act between the seemingly conflicting passions of building a business and raising a family at the same time. As we parted ways, I thought about that word: balance. My entire career of building businesses has been done in-step with raising three kids, and I’ve come to the conclusion that there truly is no such thing as work-life balance. When I think about “balance,” I envision a scale with two pans, level with each other. Everything lies in equal proportion — stable, steady, and perfectly still. But when I think about success in family and business simultaneously, I don’t think about stillness. And I certainly don’t think about equal proportion. The demands in my life are varied and most of the time it seems that they are all urgent, everyone and everything is calling for my attention at all times. At any given moment I have at least twenty critical, high-priority tasks that are calling for my focus. Maintaining “balance” is simply impossible. So early on in my journey as a family woman in business, I decided to opt for harmony instead of balance. In music, harmony is “the science of the structure, relations, and practical combination of chords, the simultaneous combination of tones, especially when blended into chords pleasing to the ear.” I stopped trying to find equal proportions at the intersection of work life and family life and focused instead on finding the right proportions — the proper combination of highs and lows, the loud and the soft, to create a lifestyle that is beautiful and pleasing. In the quest for harmony, it is easy for family to play second fiddle. Family is (usually) forgiving — deadlines are not. Part of figuring out how to be a successful businesswoman and mother means carving out intentional time for family, and making sure that the urgent doesn’t get confused with the essential. “How was your day at school?” “Fine.” How many conversations have you had like that: interactions that go through the motions but don’t have any real substance? Driving to and from activities with my kids, I’ll often prompt our conversation with something more directed, like “tell me one good thing from your day.” From there the conversation opens up, and we can dig into those things that weren’t so great from the day, too. A lot of quality family time happens around the dinner table, but sometimes the idea of cooking a full meal at the end of a long day at the office can be overwhelming. Enter the Crock-Pot — a magical gift I received for my wedding and one of my all time favorite kitchen appliances. With five people running five different directions most days of the week, the Crock-Pot has been a sure-fire way to get everyone around the table if even for a quick 10 minutes on our busiest evenings. External disorder often translates to internal chaos — and it can be the fastest means toward losing perspective on the important things. Before bed, we set a five-minute timer while everyone puts back into place all the things that became disheveled throughout the course of the day, ensuring that we wake up the next morning knowing exactly where everything is: our best way to set ourselves up for success the following day. Raising a family while building a business is not for everyone, and many people do best when they can focus their attention on just one. For me, though, it was never an option to choose. Both have always been a key part of living fully into my dreams. I like to think that you can find harmony in the chaos — you can do both, and you can be successful — you just have to focus on the music. 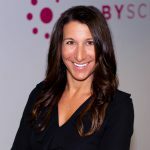 Judith Nowlin is the Chief Growth Officer for Babyscripts. Judith created iBirth™, a mobile care companion for pregnancy, birth and postpartum, to help healthcare practitioners deliver better health outcomes for women and children in the United States and beyond. The technology platform she and her team built has since impacted nearly 1 million families on their journey toward optimal health and wellness during one of life’s most precious times. iBirth was acquired in June 2018 by Babyscripts, Inc..